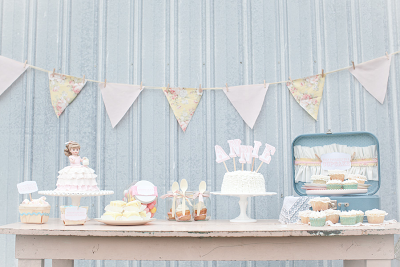 I showed you some of my favorite cake bunting ideas yesterday. And, like always, the second I finish collecting ideas that I love, ideas that are my favorite, something new comes along and I fall in love all over again. So after all that oohing and ahhing over cake garlands, I now have a crush on this cute idea I saw over at The Tom Kat Studio. I am used to seeing cute picks in cupcakes, and maybe it is just because I have loved every Annie I have ever met, but these picks seem ten times cute on this cake. Of course it could also be that the entire party is beautiful. 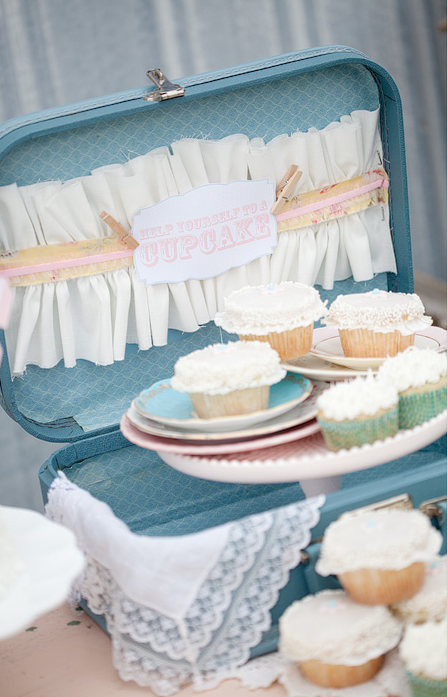 And full of clever ideas like serving cupcakes out of a suitcase. 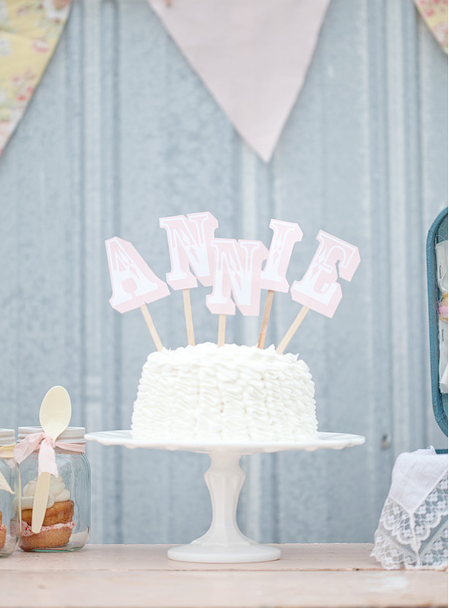 You can see more beautiful pictures of Annie's 3rd birthday over on the on the blog of the photographer, Jenny Haas. I too love cake buntings! This is a beautiful party!